These little bunnies remind me of the Christmas decorations my brother and sister and I used to make in the 1970’s. Although ours were made of construction paper and toilet rolls, these bunnies remove the “ick” factor (for people concerned about germs) by being made of ping pong balls. 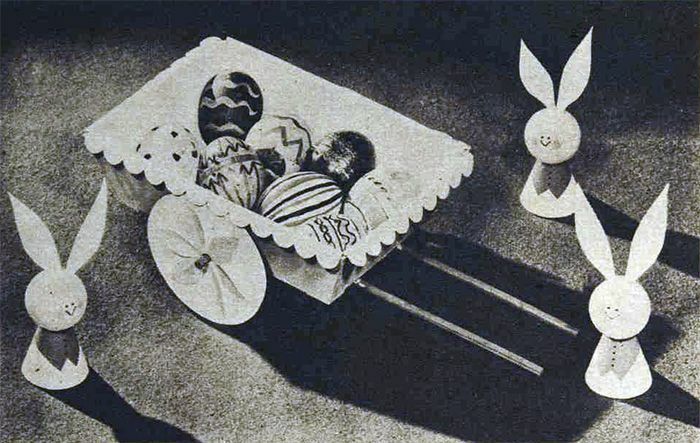 Easter Bunnies and Barrow. The Australian Women’s Weekly, April 5th 1961. 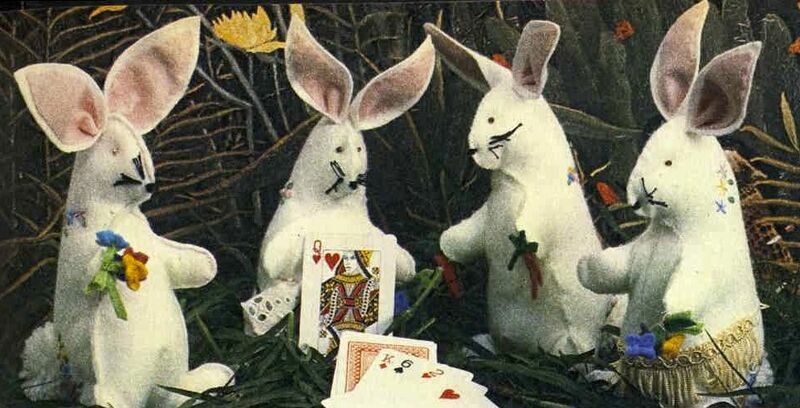 You still have plenty of time to get your needles clicking on these great little easter bunnies by Meg Black, knitting editor for the Australian Women’s Weekly back in the 1980’s. Quick to knit with scrap yarns, you could whip up half a dozen by egg day! Just in time to make for Sunday next week is today’s free pattern.